Will Modi-Shah Work with rivals within the party to keep its flock together? 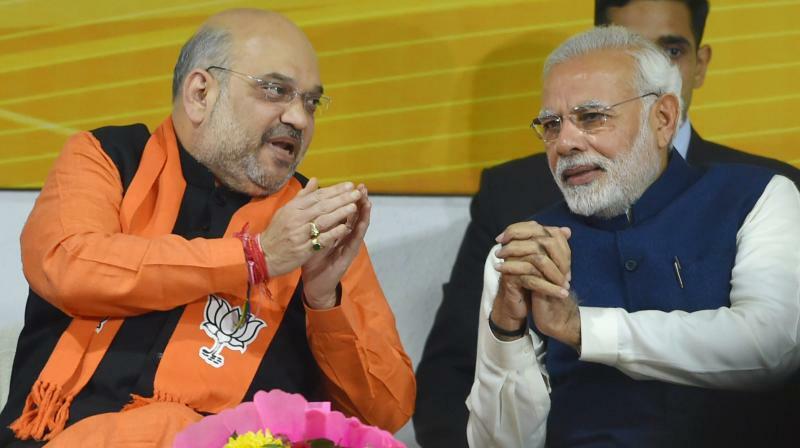 Sri Ramachandra Murthy December 28, 2018 18:00 IST Will Modi-Shah Work with rivals within the party to keep its flock together? According to report in a surprise move that has stunned the BJP leadership along with its cadre, the party released a list of new names for state in-charges for the upcoming elections in which a well-known Modi and Shah critic's name figures. Reportedly Gordhan Zadaphia, former Home Minister of Gujarat, has suddenly made a comeback to national politics by replacing Amit Shah as the in-charge for Uttar Pradesh, which is the most crucial state for the BJP as it won 71 out of 80 Lok Sabha seats in 2014. Meanwhile the decision to pick him came as a surprise to many including top BJP leaders and apparently Zadaphia is RSS' choice and the BJP High Command has to abide by it. Presently political circles are rife with speculations about why Zadaphia was replaced by Amit Shah at a time when Modi wave is clearly diminishing across the country. Moreover the political observers indicate that this could be the RSS' choice to show the BJP High Command its place. Given that Zadaphia is a prominent RSS face and has been a vocal opponent of Modi, one cannot rule out how RSS is compelling Modi-Shah to work with rivals within the party to keep its flock together.